As you may know, the other day I took advantage of Boots’ 3 for 2 offer and treated myself to a couple of Maybelline Kohl Liners and this Color Sensational lipstick in Neon Red. This colour instantly jumped out at me as it was so vibrant and bright. I have a few red lipsticks but they are either more of a ‘true’ letter box red, or deeper burgundy reds. This is more of an orangy tomato red, with a fantastic intensity and shine. 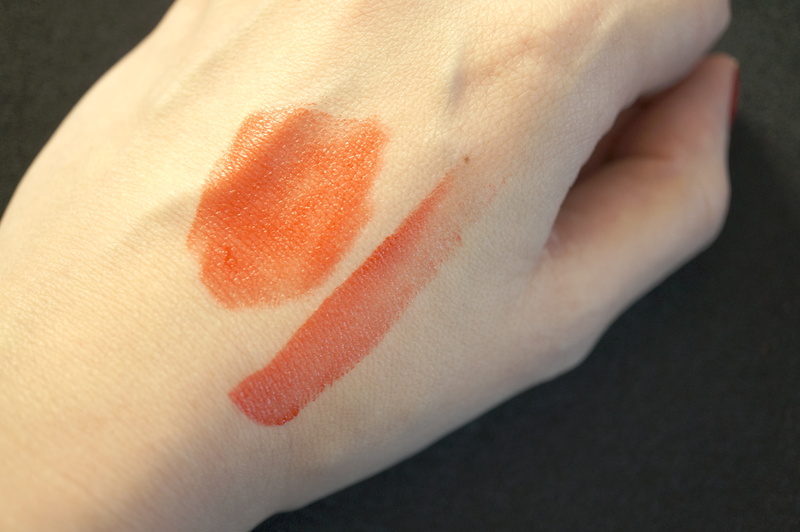 I wasn’t sure what to expect from this lipstick as I don’t like to get my hopes up, especially with a brand I have been disappointed with before. Surprisingly though I was very impressed! 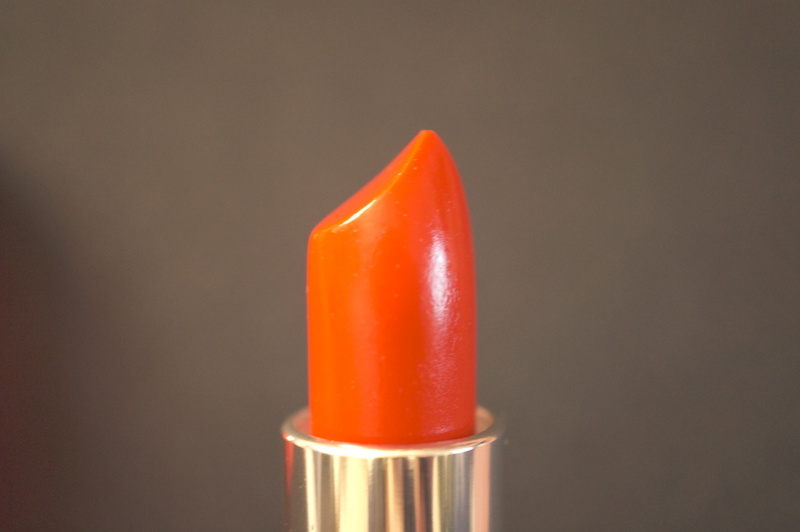 This lipstick was a dream to apply, it has a very smooth and creamy texture, like nothing I’ve tried before in fact. The texture was verging on a gloss, but without the stickiness. The colour applied true to how it appears in the bullet, and had fantastic pigmentation and staying power. Have you tried Maybelline Colour Sensational Lipsticks? 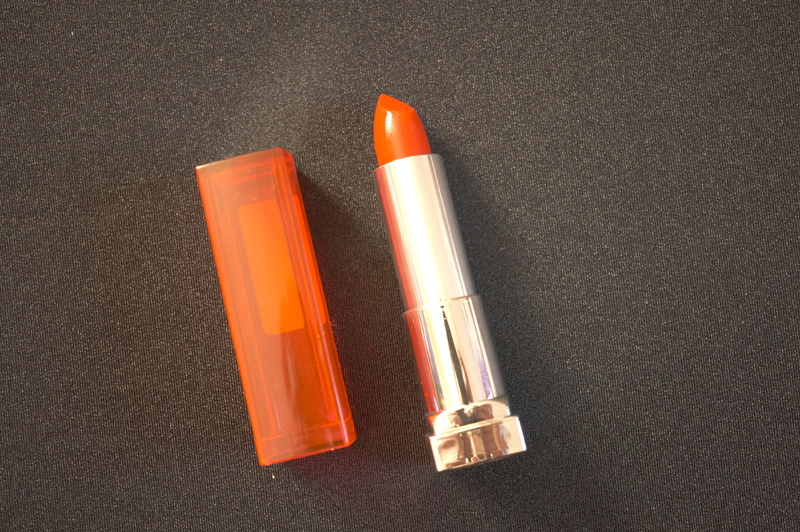 Love how bright and bold this lipstick is! I haven’t found the right shade of orange lipstick for myself yet, the colours I’ve tried always looks so funny on me! But this one definitely suits you!